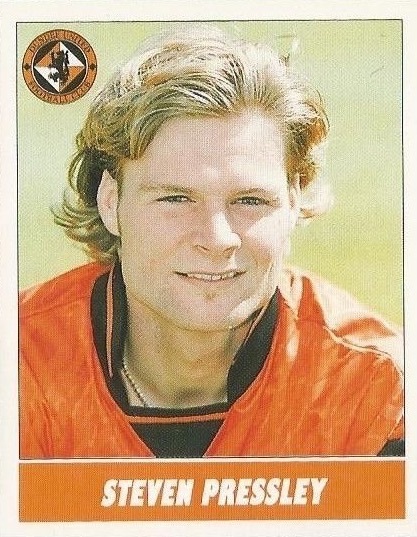 Steven had been with Rangers and Coventry City before he came to Tannadice for a United record fee. 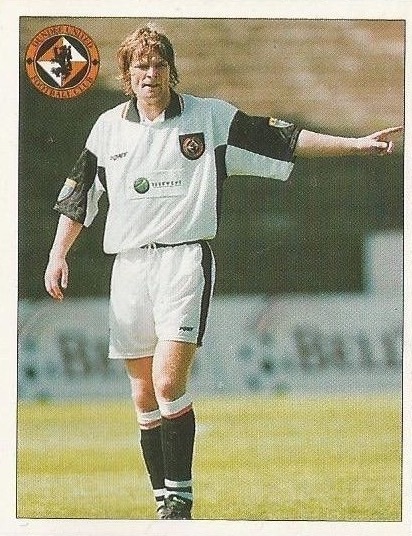 He was an influential player, with an important part in regaining top flight status in 1995-96. In 1997 he collected a runners-up medal in the League Cup final. Rarely out of the side during his three years at United, he left under freedom of contract at the end of 1997-98 and soon after he signed for Hearts. Steven was born on this date in Elgin. 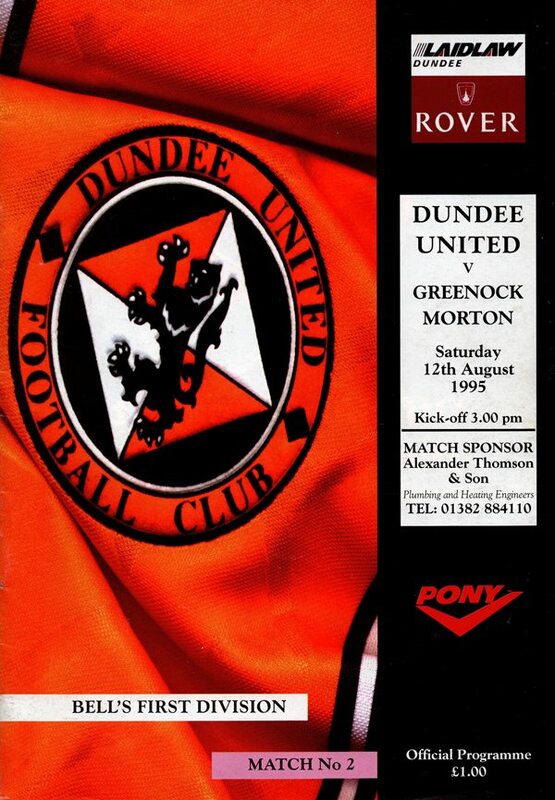 Injuries to Brian Welsh and Sandy Robertson, plus the enforced absence of Billy McKinlay on international duty, meant it was all change yet again for the visit of Hamilton. Territorially, United dominated from the start - Robbie Winters miskicked in front of goal after just a couple of minutes and that was typical of United's luck in the first period. We couldn't stop Negri from scoring again, but more importantly, we inflicted Rangers first defeat in the league and at the same time posted a confidence boosting second successive win. The tension of the occasion was highly evident in the opening stages. Immediately after Crawford sent an angular drive narrowly wide, we passed up an even better chance, Lars Zetterlund placing a Kjell Olofsson cut back narrowly wide of the target. We rued that, as just after the half hour mark when Grant Brebner headed in a McGinlay cross.